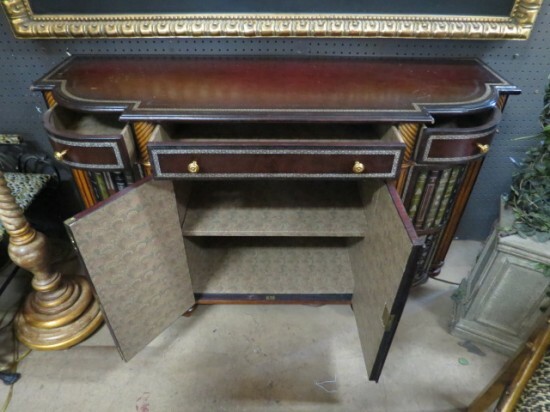 $2200. 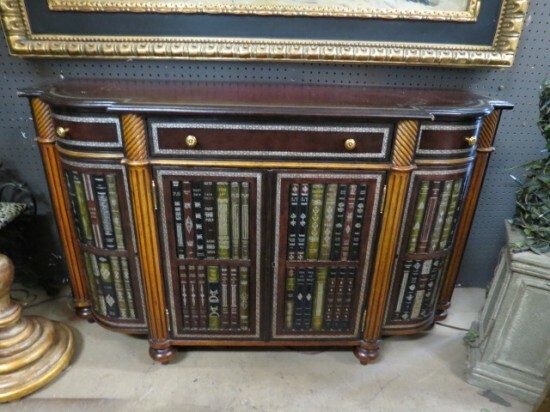 Vintage antique Maitland Smith credenza with faux books. 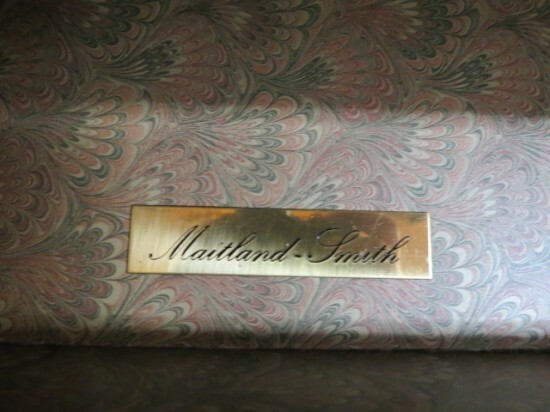 Founded in 1979, Maitland-Smith is known for fine hand carved woodwork, sophisticated finishing techniques and detailed hand painting. Leather top curved credenza with leather faux bookcase front and sides. 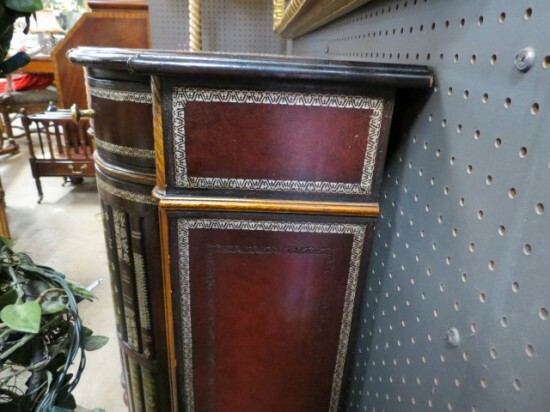 4 doors, 3 drawers. 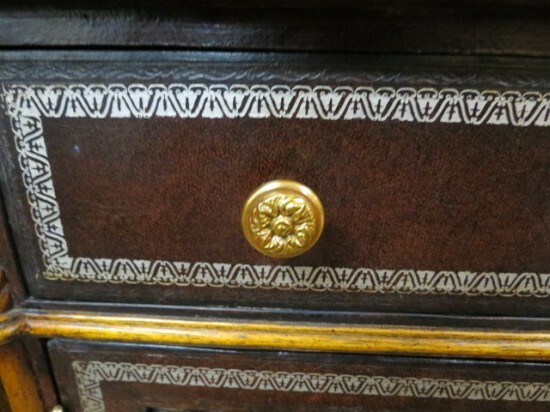 Leather top and drawers have gold border stamping. 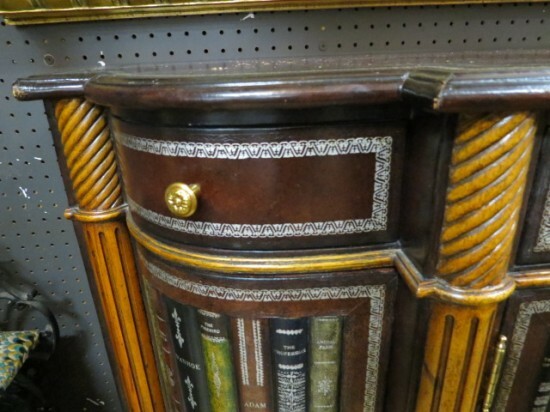 Door fronts have 2 rows of leather faux books. 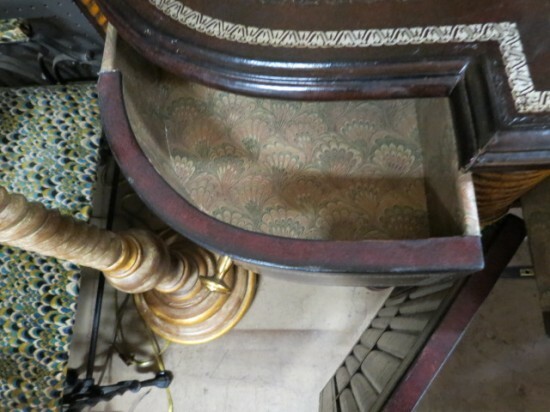 4 wood columns in between. Interior of doors have 1 shelf in each. 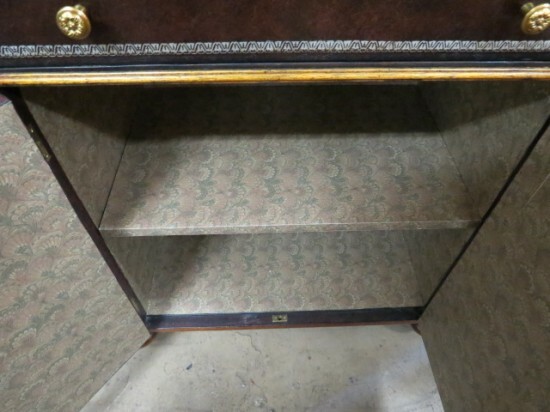 Interiors of drawers and doors all covered in a Venetian style book paper. An outstanding piece. 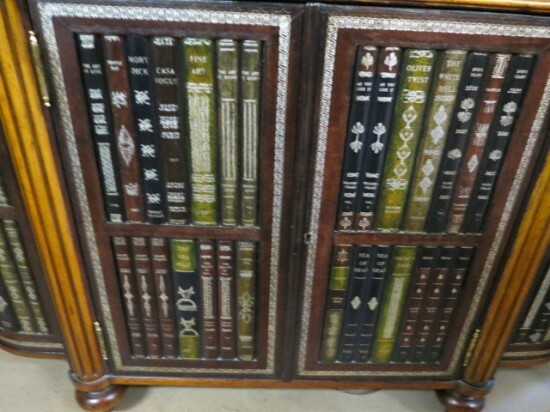 Perfect for your living room or library. Excellent condition. 52in wide, 17in deep, 32in tall. Shipping not included in item cost.